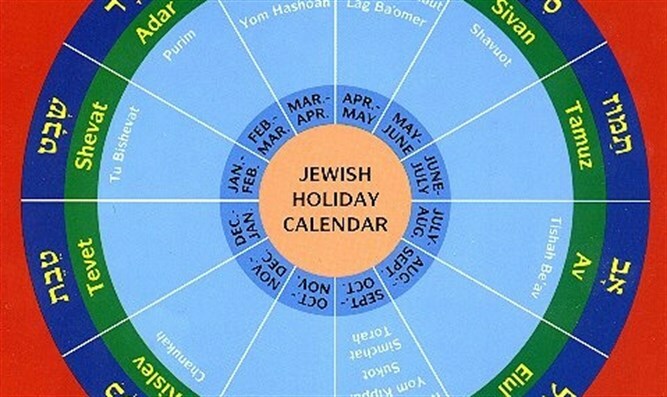 Our partnership with G-d in setting up the calendar. When we read it in Parshat Bo this year, it was still about three months away. When we read it this Shabbat - and we say THIS MONTH, we really mean it. 28% of the years - Shabbat IS R"Ch Nissan! The molad of Nissan - as announced last week - is/was April 5th, at 2:05am Israel Summer Time. But the announced molad is based on the average time it takes the Moon to cycle through its phases. The actual time from one molad to the next (a lunation) varies because of Kepler's Laws of Planetary Motion (which are really G-d's Laws of Planetary Motion which Kepler studied and observed). Actual molad of Nissan is/was FRI at 11:49pm Israel Summer Time. Thursday evening, the Moon is too 'young' to be visible to the naked eye. The Sanhedrin would calculate (or consult the internet) that the first visibility of the Lunar Crescent would be Friday, shortly after sunset. A man who sees the L'VANA B'CHIDUSHAH, the Moon in its newness - or even thinks that he might have seen it - is obligated to go to the headquarters of the Sanhedrin in Jerusalem to offer testimony to what he saw. This includes not only Jews in walking distance of the Sanhedrin, but even someone who would have to travel by car to get to Jerusalem. Remember, we are talking about Shabbat. Whereas we usually thing of driving a car on Shabbat only in life-threatening situations (PIKU- ACH NEFESH), it is also permitted (actually required) for testifying to seeing the L'vana b'Chidushah. The committee of Sanhedrin members for Kiddush HaChodesh must know in advance if and exactly where in the sky the Moon will be visible on the night following the 29th of the month (which is Friday's date, this month). The potential witness might not even be sure what he saw. The Sanhedrin knows exactly what's what - and yet, the proper halachic procedure (when we have a Sanhedrin) is to wait for witnesses. Even on Shabbat. HaShem Who sanctified the Shabbat and made it holy, has the Shabbat step aside so that Bnei Yisrael can sanctify its months and the holidays therein. This He commanded even before we left Egypt. In the pasuk, He emphasizes that the making of the calendar is LACHEM, yours! Meaning ours. That's how serious HaShem is about bringing His people into partnership with Him for the purpose of Sanctifying Time. He did Shabbat; He wants us to do the Chagim. May we be ZOCHEH soon to do as He wants, not just to read about it.